The marks are made on my ground and ready to place on the etching press. 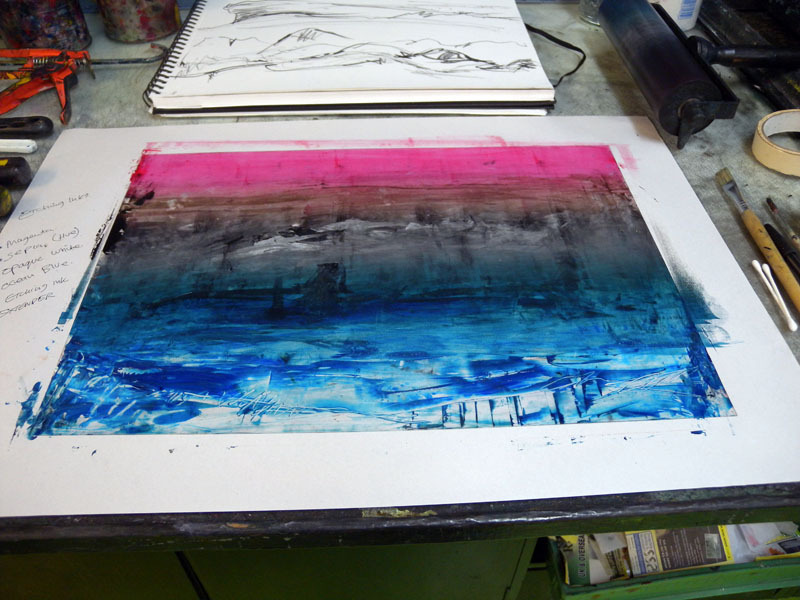 This afternoon I am making some monoprints using etching inks and German paper. I am interested in the different modalities of colour and reverse mark making. 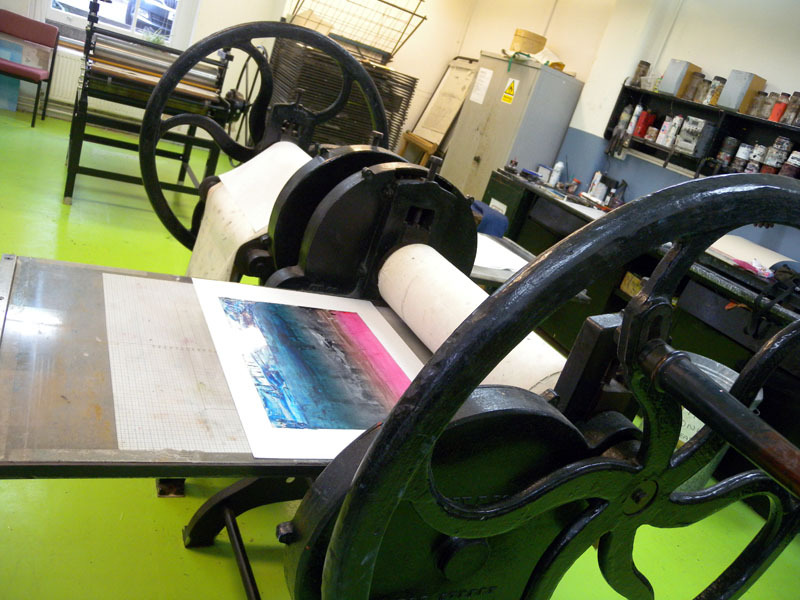 This is the printmaking process in itself (reverse; creating a mirror image once put the through the press). 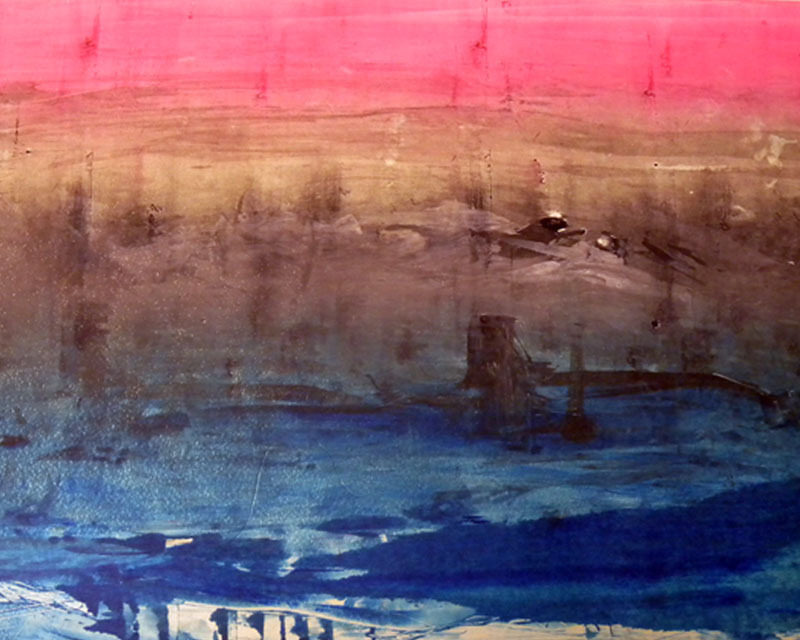 The final Monoprint, colours used: Sepia hue, Magenta, Prussian Blue, and Opaque White etchings inks.